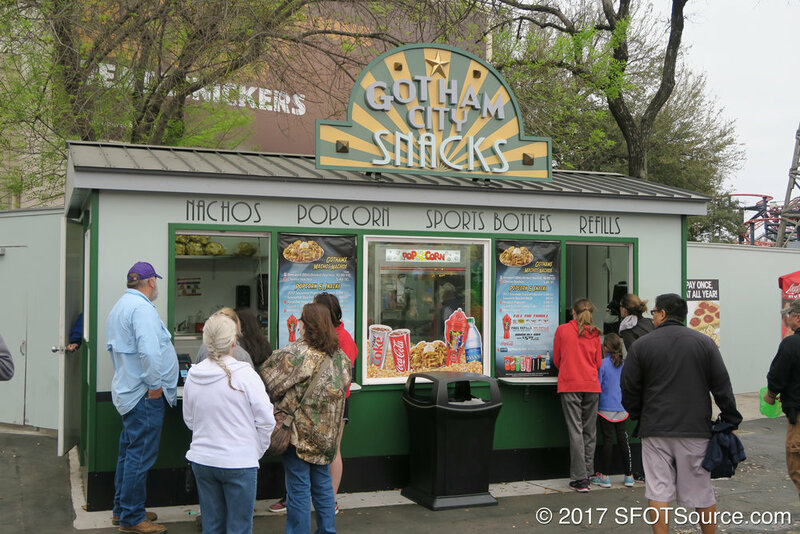 This outdoor snack stand is located in the Gotham City park section. There is no seating designated to the stand. However, seating can be found nearby at Johnny Rockets.